“It was quite a thrill to me when I was ordained a deacon and permitted to pass the sacrament,” wrote Rendell Mabey of his ordination to the Aaronic Priesthood in the early 1900s. 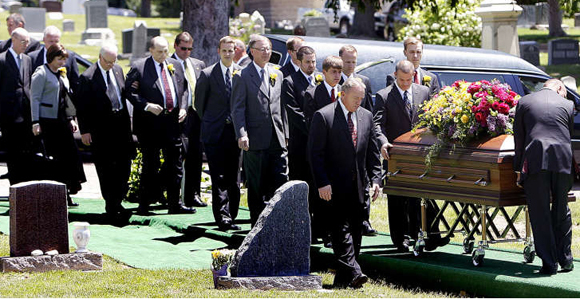 Rendell was a typical Aaronic Priesthood holder of his day: he was born to an LDS family and lived in Utah all his life. Things have changed since then. In 1900, young men were part of the Young Men’s Mutual Improvement Association. There was no official Church Scouting program until 1913. In 1900 there was no official age schedule for ordinations in the Aaronic Priesthood. It wasn’t until 1908 that a schedule was set: young men served as deacons from 12 to 15, teachers from 15 to 18, and priests from 18 to 21 (see General Priesthood Committee Minute Book, no. 6281, 1315). In 1934, the age at which a youth could be ordained an elder was changed to 19 (Journal History, 29 Dec. 1934, 10), and in 1954 the schedule for ordinations was changed to what it is now (Improvement Era, Nov. 1954, 83435). In 1916, the Church Priesthood Committee recommended duties for Aaronic Priesthood holders. Along with administering the sacrament, young men were asked to “haul gravel,” “make cement walks about meeting houses,” and to “help with teams to level public squares.” Priests were asked to serve as ward choristers, teachers as choir members, and deacons as organ pumpers (see Improvement Era, July 1916, 847). A highly significant change took place in 1978, when President Spencer W. Kimball received revelation extending the priesthood to all worthy male members of the Church. Today, more than half a million Aaronic Priesthood holders serve in the Church. Many are converts, and most have never been to Utah. Although much has changed, it’s amazing how some things remain the same. In 1900, young men read the Era (officially titled the Improvement Era, which was then the Church’s magazine for young men). Aaronic Priesthood holders have always served others. And the feelings that come with receiving the priesthood never change. [photos] Being ordained as a deacon usually takes place at age 12 (top left). President Howard W. Hunter dressed in his Scouting uniform in 1917 (far right). The Young Men organization incorporated many activities. The Provo Fourth Ward Band in 1902 (lower left). In a 25 May 1999 ceremony, President Gordon B. Hinckley broke ground for the 100th temple of The Church of Jesus Christ of Latter-day Saints. This temple is especially significant because it’s being built in the very birthplace of the Restoration—Palmyra, New York—where the First Vision occurred. The building of the 100th temple is also significant because it marks 100 years of a striking expansion in temple building and temple work. In 1900 there were only four operating temples, all within the state of Utah, and the temple ceremony was only available in English. Today there are 63 operating temples in 26 nations, with the temple ordinances available in 70 languages. Teenagers have played a big part in this growth as they’ve become more and more involved in temple work. In the early 1900s, the ordinances of baptism and confirmation for the dead were mostly done by adults. But in this century, teenagers have increasingly shouldered the responsibility of serving as proxy for these ordinances, freeing adults to devote their time to other temple ordinances. And with the increase in converts around the world, more and more teens are going to the temple, not only to participate in baptisms for the dead, but also to be sealed to their own families. Twenty-first century teens describe such experiences as a major blessing in their lives. After his family joined the Church several years ago, 13-year-old Diogenes Gallegos of the Rio Kaw Branch, Lenexa Kansas Stake, was sealed to his parents and siblings in 1998 in the St. Louis Missouri Temple. I had a good topic to write about…. I'm Jenny Smith. Since 2004 I've been collecting handouts, object lessons, and activity ideas for Young Women, Seminary, Relief Society, Primary, and Family Home Evening. Right now I'm serving in my northern Virginia ward as a Communications Specialist and A floating Primary teacher. I live on 300+ acres with 2 cats, 2 kids, and 1 husband. I have a testimony of the doctrines of the gospel. Everything else is subject to (hopefully helpful) criticism.